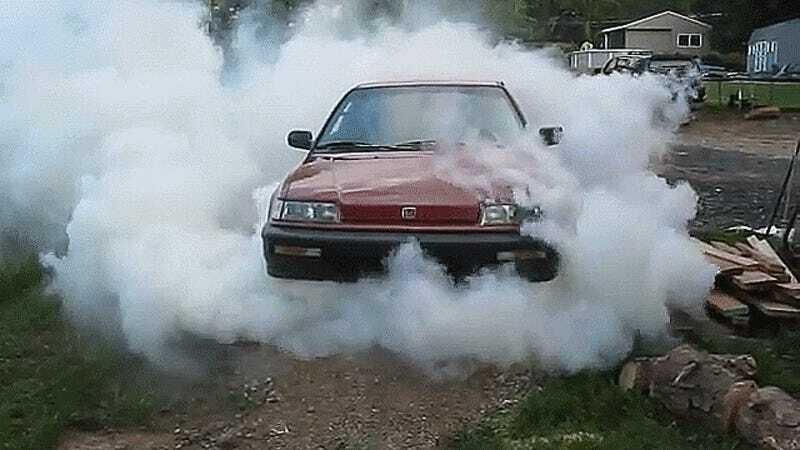 This little front-wheel-drive Honda isn’t the usual fare you’d see at wild burnout competitions, but it’s capable of making an entire yard disappear into thick, smoky burnout-cloud air! Wow! Gasp!!! Where’s the yard? Where did it go? If you’d like to do your own Jalopnik-approved magic tricks, all you really need is a concrete slab, a car and tires with lots of tread still on them.